At Eque2 we have a structured approach to implementation and training based on proven methodology which has been developed through years of experience with clients in the construction industry. Our estimating experts first spend time understanding your challenges and presenting EValuate using your data. Next, we produce a detailed proposal to explain our solution which you can share with the rest of the business. If successful we will install your new construction estimating software onto your PC, Laptop and/or Server. We can create you a new Resource Library based on your current spreadsheet templates or you can use Laxton’s Priced Libraries in either or both SMM7 and NRM2 format. You and your team then spend time with one of our trainers and learn how to use the software and create your estimates. Once you Go Live with EValuate you will be provided with ongoing telephone assistance from our dedicated and experienced team of helpdesk experts, ensuring you get the most out of your software. We offer a variety of additional support-related services including training, project management, report writing and business analysis consultancy. 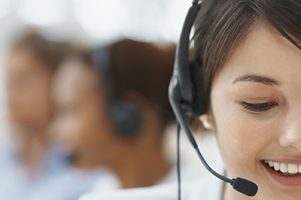 On the odd occasion I’ve called the support team, the calls have always been answered in minutes and the problems are always resolved within a few minutes, it’s been excellent support.